Native to North America, the name sunflower comes from the Greek helios "sun" and anthos "flower." 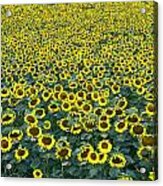 Sunflower got its name because the flowers turn toward the sun. 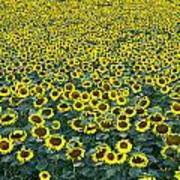 Some kinds of sunflowers are grown for food, seeds and oil. 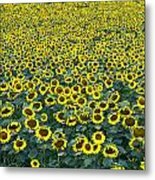 A sunflower head can produce up to 1,000 seeds. 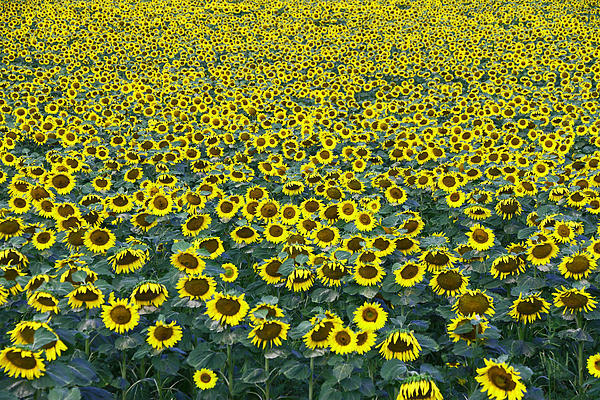 Argentina and Russia grow the most sunflowers. Kansas is the "Sunflower State." Image taken at Brodhecker Farm, Hampton, New Jersey.